Cooper Green Pooks are offering an interesting parcel of riverside meadow and woodland for sale at “Barge Gutter” off Alma Street, Shrewsbury [SY3 8QL]. 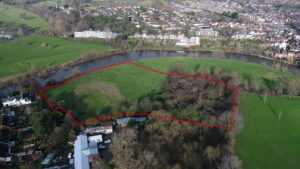 Totalling about 2.57 ha (6 acres), the land is named after the “Barge Gutter”, a holding area for Severn trows as they waited for changes in river levels to approach Shrewsbury town centre. The land forms part of an attractive belt of riverside fields, woods and towpath close to The Mount, birthplace of Charles Darwin and which reputedly sparked his interest in the natural world. Located within the River Severn flood plain, the potential for extensive development is limited but alternative uses could include leisure, amenity, possibly residential in part, or as a flood alleviation basin (subject to planning and other consents). 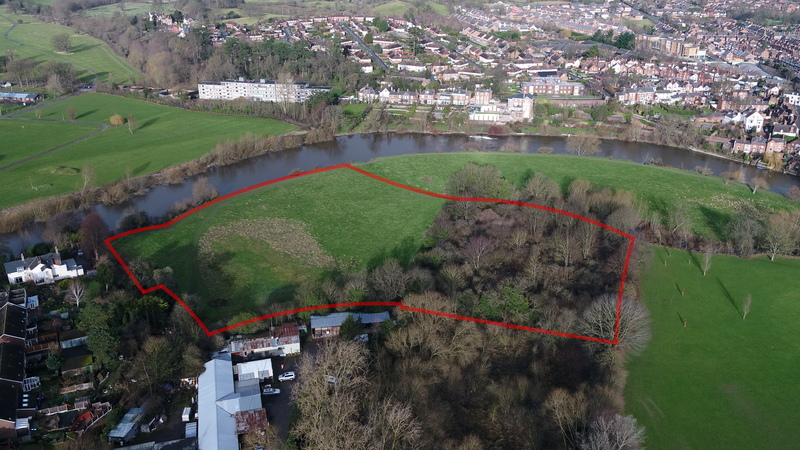 Charles Howell of Cooper Green Pooks, who is handling the sale on behalf of the owners, said “This is an interesting and attractive parcel of riverside land suitable for a variety of purposes and we expect interest from a wide range of possible buyers”.